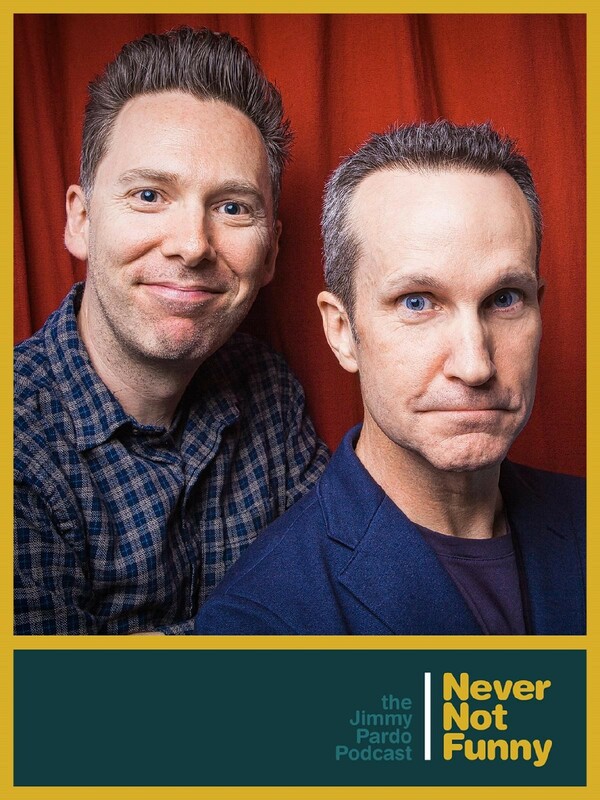 Never Not Funny is an award-winning weekly podcast hosted by comedian and TV personality Jimmy Pardo. Broadcasting since 2006, the show features free- form conversations between Pardo, his producer Matt Belknap and his sometimes famous, always funny friends. Now part of the Earwolf Network, the show gets half a million downloads a month and has appeared on Entertainment Weekly's Must List, in Esquire, GQ and Billboard Magazine, and was named a top comedy podcast by iTunes, Mashable, and The AV Club. Notable past guests include: Conan O’Brien, Jon Hamm, Amy Poehler, Zach Galifianakis, Jon Cryer, Paul Reiser, Sarah Silverman, Richard Lewis, Bob Odenkirk, David Steinberg, Tom Bergeron, Tommy Shaw, Lisa Loeb, Anthony Rapp, Billy Eichner and Weird Al Yankovic. Never Not Funny has raised over one million dollars for Smile Train with its annual “Pardcast-A-Thon” charity event.